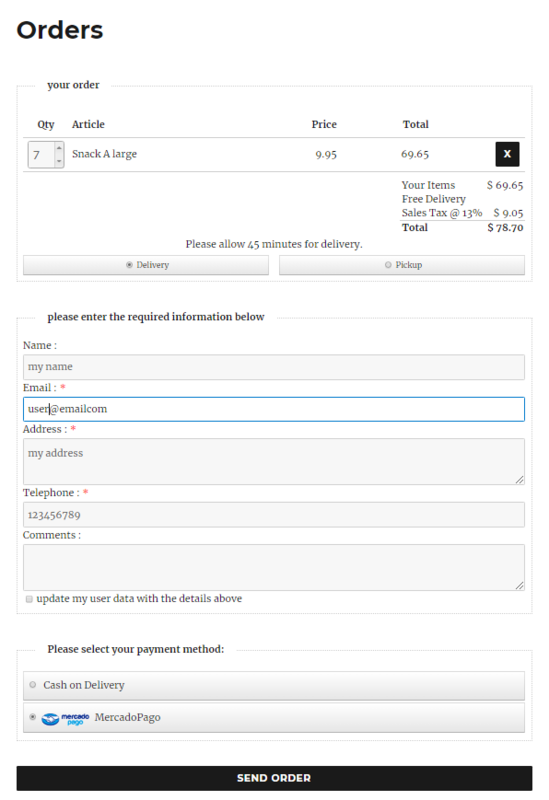 Set “Excluded Payment Methods” and the “Optional but recommended order form fields” as required. 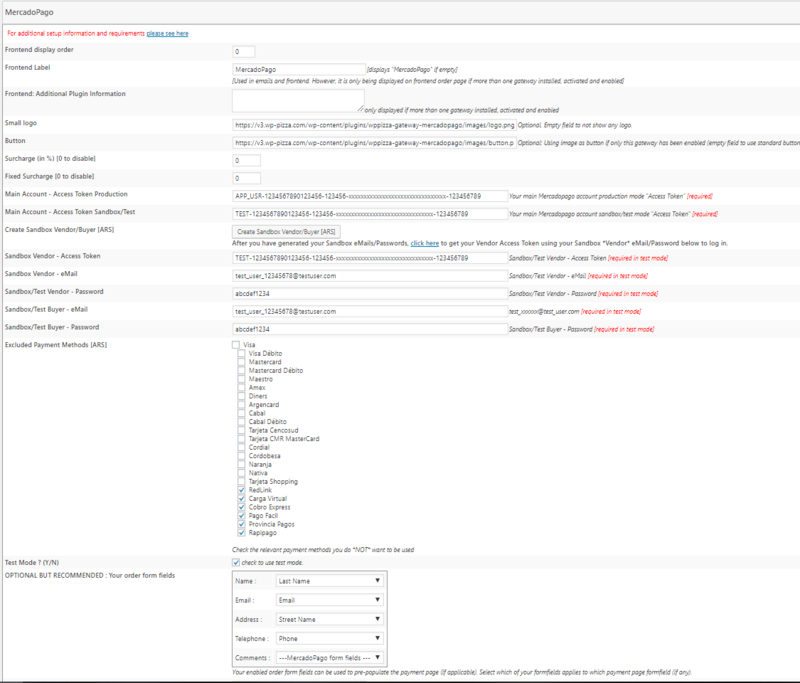 In your WordPress Administration under WPPizza->Gatewways->Mercadopago, click on the “Create Sandbox Vendor/Buyer” button. 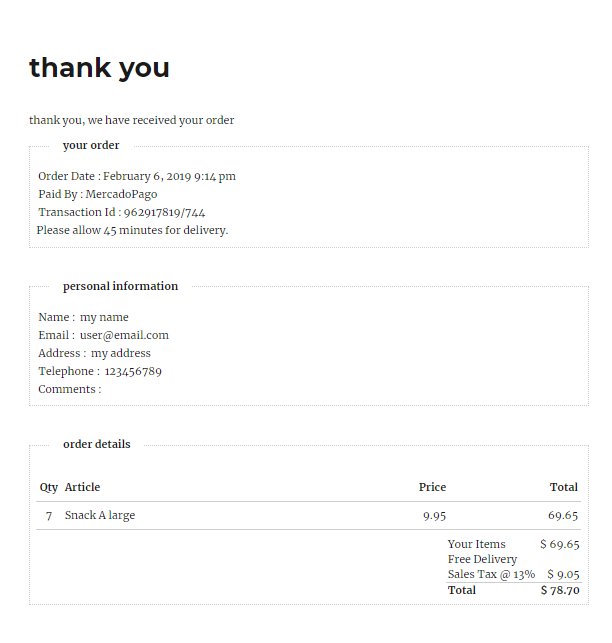 After a few seconds – be patient this might take a little bit – the “Sandbox/Test Vendor – eMail”, “Sandbox/Test Vendor – Password”, “Sandbox/Test Buyer – eMail” and “Sandbox/Test Buyer – Password” will be pre-filled. Make sure to be logged out of your main Mercadopago Account, or do so now. Once you have followed the steps above, make a test order and see if it all works. 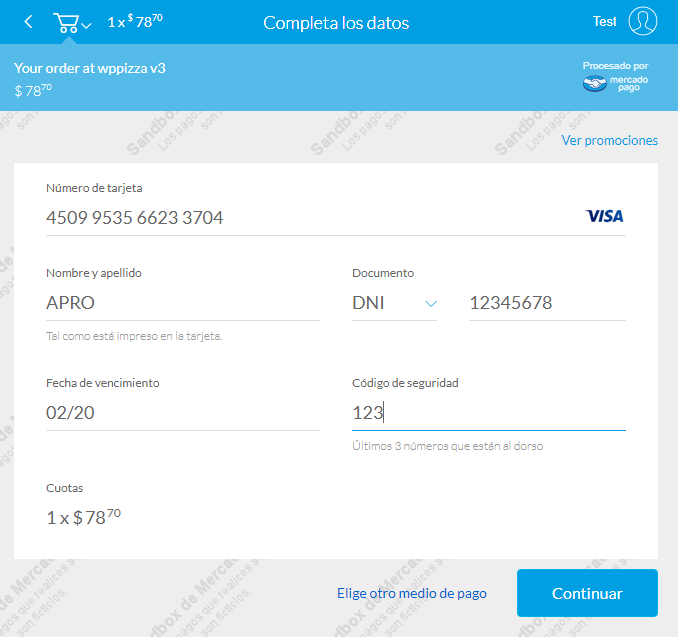 Note, that the “Credit Card Name” when paying on the Mercadopago payment page has to be set to “APRO” (default in test mode) for a payment to be accepted in Test Mode.